I recently had the opportunity to review a new apron pattern by Whimsy Couture. My daughter was so excited to pick out her fabrics. She used farm fabric left over from last year's teacher gift. 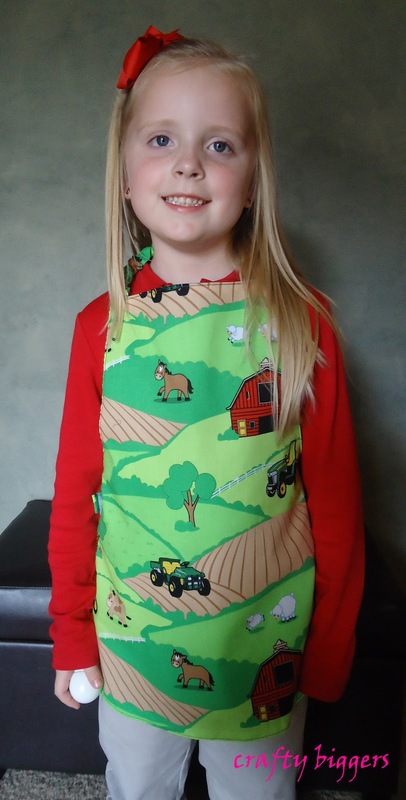 What she and I both love the most about this apron is it's a do it yourself pattern. 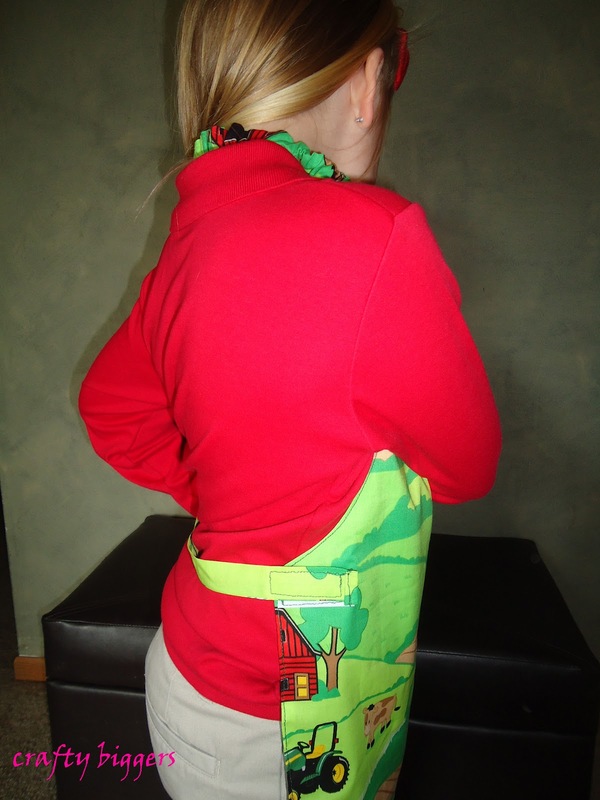 The apron is adorable. I love that it's so easy to put on without requiring any help. The material you used...oh my goodness, so super cute. Thanks! I'd love to take credit of the fabric choices but from the store to the projects it was all Maddie. That's adorable, I love the fabric. It's definitely kid friendly with the elastic neck and velcro at the side. Some people just think of everything. You're right it would make a great present. First time follower via GFC through Wednesday hop.